You may have heard that the quality of the air in your home is likely two to three times worse than the air outside. The worse the air quality is inside your home, the greater the chance your family will be affected by respiratory problems. The good news is that there are simple ways for improving indoor air quality. The air inside collects pollutants and becomes stale when there is no fresh outdoor air circulating within your home. Open the windows for five to ten minutes every day to let the fresh air in and to get the pollutants out. Indoor second-hand cigarette smoke is a major detriment to your indoor air quality Not only does it contain carbon monoxide, it is also filled with thousands of chemicals, many of which are carcinogens. Smoking should be limited to outside the home away from any open windows or doors. Many pollutants will settle on your furniture, walls, floors, carpets, and curtains. Regularly cleaning the house will help to reduce the number of pollutants in your home, thus improving indoor air quality. It is best to use vacuums with HEPA filters and microfiber cloths to trap dirt and fine particulates. High levels of humidity in the air can lead to mold growth, which is a major indoor pollutant that can cause health issues and damage the structure of your home. Cooking, bathing, and washing clothes are some activities that add a lot of moisture into the air. Run exhaust fans in your kitchen and bathroom to remove excess moisture. Click here to read our article about reducing humidity. Plants use carbon dioxide for photosynthesis while producing oxygen as a byproduct. This natural process works inside and out. 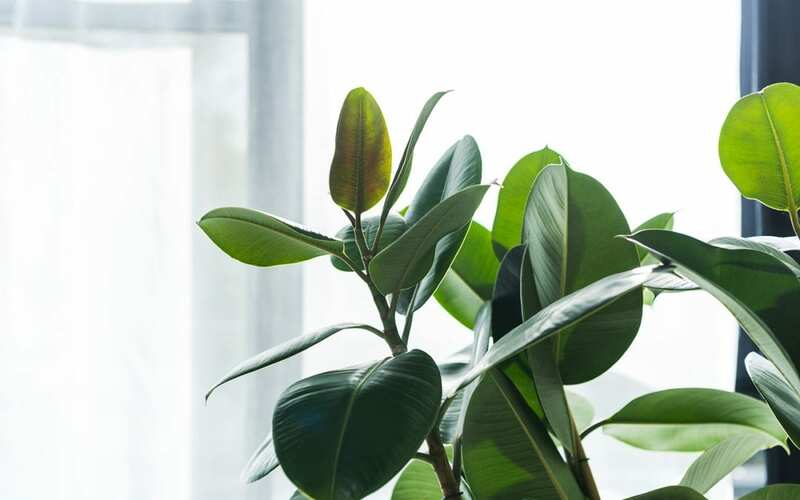 Place houseplants in your living room and bedrooms for better air. Some plants well-known for their air cleaning properties include spider plants, Boston ferns, and bamboo palms. Water leaks offer a ready source of moisture for mold growth. For improving indoor air quality, it is important to fix water leaks as soon as possible. This includes plumbing leaks, roof leaks, and window leaks. Many household cleaning products contain chemicals that contribute to poor indoor air quality. To reduce the number of chemicals in the air, go for cleaners that are eco-friendly and less likely to emit harmful compounds. The filter in your heating and cooling system helps capture many of the pollutants in the air. Changing the filters every few months (depending on the instructions manual) will keep the filtration at its best and also increase the energy efficiency of your unit. The inside of your air conditioner has condensation and may be harboring mold. For improving indoor air quality, have a technician come out to clean the inside of the unit at least once a year. If you were to look at your sheets and pillows under a microscope, you would likely see dust mites. These microscopic insects can cause allergic reactions in many people. Washing bedding helps reduce their presence and keep allergies under control. Carpet is a major collector of dust, dander, and pollutants. At least once a year, have your carpets and rugs professionally deep cleaned. When it comes time to replace your carpet, you should consider tile, hardwood, or laminate to reduce allergens in the air. These tips will help you keep the air inside your home healthy and fresh. Integrate our tips into your regular home maintenance routine and your whole family will breathe easier. AAA Home Inspections serves Central and Northern New Jersey with home inspection services. Contact us to schedule your appointment.